Beyond that broad point, I am not convinced that the Obama plan produces enough savings. It may not accord with the budgetary goals set out in the first tranche of the Budget Control Act, which mandates about $489 billion in ten-year savings (not counting reduced war costs, which will make for substantial additional savings over that period too). The cuts in forces and programs may not be large enough to achieve the targets - leaving aside the possibility of sequestration, which I believe would go way too far in terms of making further cuts. In my own recent research on the subject (spelled out in my book The Wounded Giant), in seeking cuts of similar size I felt it necessary to cut active-duty ground forces by 50,000 more personnel than the president now proposes. 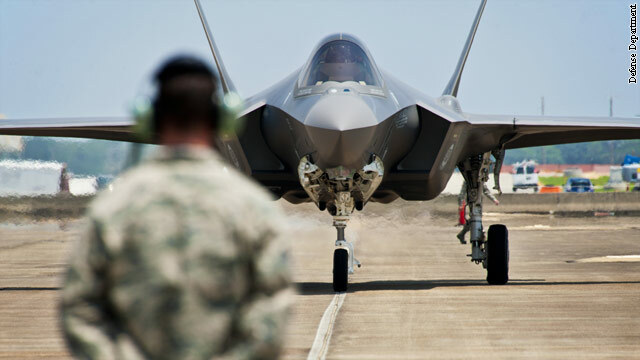 Rather than simply postpone a few major procurement programs, I suggested major changes to the F35 fighter plane program and Littoral Combat Ship among others, along with a somewhat smaller Navy and less expensive nuclear force posture. I also offered somewhat steeper changes to military healthcare programs, and dramatic reform of military commissaries and exchanges. What explains the arithmetic problem? My calculations, based largely on Congressional Budget Office methodologies that I learned when working there two decades ago, were perhaps more conservative than the Pentagon’s. While I hardly speak for CBO today, the budget office is typically more pessimistic about costs than is the Department of Defense. The CBO assumes that weapons will grow in expense more than currently planned, just as they typically have in the past, for example. So its “baseline” about what current plans, programs, and forces will cost in the future is higher than DoD’s in most cases. The difference can be as much as several hundred billion dollars over a decade-long period. To remain under a given budget ceiling in the future, therefore, more cuts in people, programs, and forces would be needed. I do not favor cutting DoD to sequestration levels or near-sequestration levels. But in order to just achieve what has been promised by way of smaller spending reductions requires deeper changes. President Obama has gotten us about two-thirds of the way to where we are trying to go, but more still needs to be done - and some deeper economies need to be identified. In the "end game" we will have to retire a bit later in life (that's if we are lucky enough to have a job), we will have to stop suing our doctors and move to limited mediated settlements prescribed by our legislature, releasing our medical providers from mal practice coverage costs which account for perhaps as much as 40% of overall expenses, and we will have to tax at Reagan levels. Further more we will have to do away with the DoHS, AgD, a few redundant intelligence agencies, the BLM, and BIA, and all corporate welfare. A few appropriate tariffs, and a shrinking DOD and we're there with ease. How about the cutting "foreign aid" – the billions that America pays every year to Pakistan's and Egypt's military? That would be great!!! This way the world may become an even safer place for all of us!!! Unfortunately its not working very well. Once the world's economic systems collapse, budget numbers will be irrelevant. Give it about 6 months. If Barack Obama is really serious about helping our economy, he'd cut the current military spending this from $783B to less than $300B this year alone with similar cuts over the next four years. Unfortunately, the big whigs heading the MIC(military-industrial-complex) in Washington just won't stand for that and therein lies the problem!!! How do you expect the entire military to operate on $300B? The cost of pensions alone cost $80B. Should we take that away? Healthcare costs the military another $102B. Maybe we should make them provide their own healthcare too. 1st thing... the enemy always has a vote... 2nd before cutting the numbers of troops keep in mind... ask yourself where are they going to go get a job.... Cut budgets should be focused in on what gives the least bang for the buck, but regardless of how fancy the program... war comes down to people and the tool to kill with, and you can kill with a stick or a drone but someone has to be there behind it to make it work. Our budget should be balanced and smartly executed. This author is a complete idiot he knows nothing about how much this country relies on this military and how much Service Members rely on the military to suggest we need to cut more than 50,000 troops...Are you nuts! What world have you grown up in! No Ismael, it seems that you've been brainwashed by the right-wing news media. Today, no country on earth poses any kind of threat to the U.S. due to our vastly superior weapons. Moreover, we already own both Libya and Iraq so we should have all the oil we need and then some!!! The one sided approach has not worked and will never work. We have a spending AND revenue issue, not just a spending issue. Slowing deficit spending (I'm not delusional, so I will not say 'balancing the budget') will take increases in revenue and probably the expiration of the Bush tax cuts. Obama inherited two completely unfunded wars, a completely unfunded Medicare subscription plan, a meltdown of the entire financial system and a resulting recession – on top of tax breaks that anyone with a brain knew we could not afford at the time Bush signed off on them. This problem will not be solved with cuts alone – we also need revenue to fund the needs of our country. Yes, we cannot afford to pay for the most expensive military in the world forever, and should not have to to remain the superior military force of the planet. Indeed, there is much wasted money in the Pentagon. Most importantly, the rising costs of healthcare and pensions are the number one drivers of the rapidly rising defense budget. To resolve the crisis we must do a number of difficult things. 1: stop the rising costs of healthcare. 2. Reduce the pensions program and base pay which is now well above civilian pay. 3: increase revenues through taxation. 4: instead of simply laying off thousands od soldiers and sending them out into a high unemployment America, give them the option to remain in the military working on civilian infrastructure projects, but with the option to leave at any time to pursue a better job elsewhere.